Many new mothers who are in the recovery room after just giving birth have thought of the possibility that they could be given the wrong child by the nurses. With so many babies being born in labor and delivery wards across the country, it is no wonder that there have been instances of nurses handing the wrong child to a new mother. 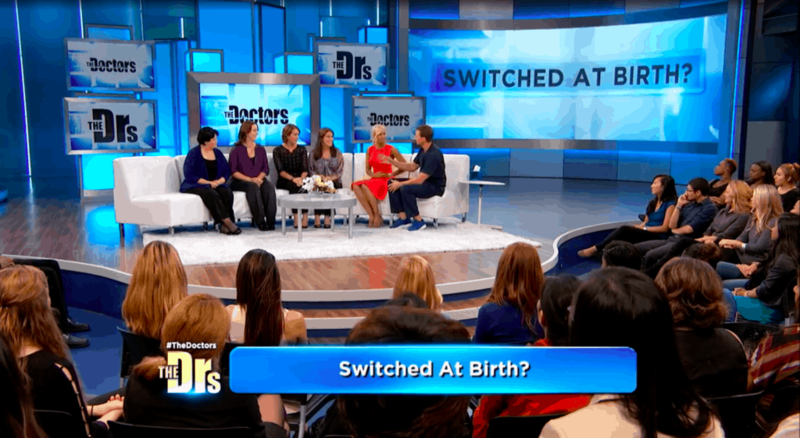 There was even an entire ABC series entitled Switch at Birth which follows the aftermath of two families who have found out that their daughters were switched at birth. The idea of a family raising the wrong child for years intrigues many people as it is so heartbreaking and is a test case for the idea of nature vs. nurture. The thought of having raised the wrong child may be fascinating but most people do not believe that it could happen to them. It is the plotline for a television show, but not something that could happen in reality. This is not true for some real families as there have been a number of cases that have received recent media attention of children being raised by the wrong families. A recent case occurred in 2015 when Mercedes Casanellas’ son was taken to the nursery immediately after she gave birth and the nurses gave her the wrong child which she discovered only four months later. A similar incident occurred 20 years ago when two women sharing a hospital room realized that the nurses had given one of the mothers the wrong baby. The mother’s realized this while they were still in the hospital, however, there were still suspicions if the children had been switched or not. The two families were about to find out the DNA results. 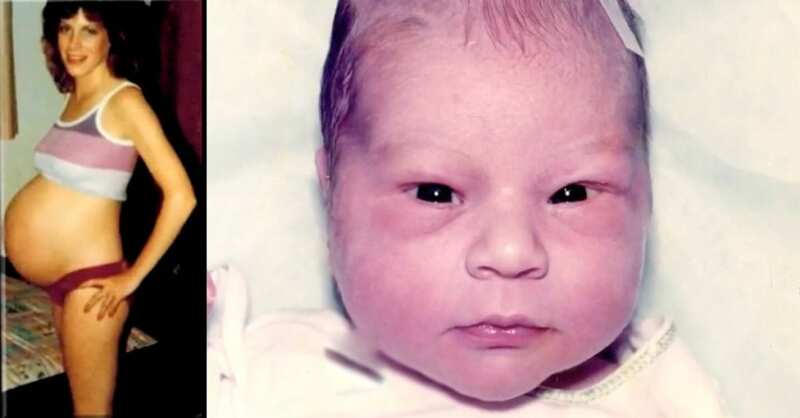 Over two decades ago, two new mothers were roommates in the same hospital recovery room after they gave birth to their respective daughters on the same day. The two women became fast friends, bonding over their brand new daughters, but what they did not yet know is that something was about to happen that would connect them until today. But what happened to make these seemingly random strangers become forever intertwined in each other’s lives? The two women, Pam and Laura, were sharing a hospital room after they each just gave birth, both to girls. The women were bonding over experiencing the first few hours of motherhood together and were enjoying one another’s company. Where this story all began was when Laura was lying in her hospital bed in their shared room and Pam got up to go the use the bathroom. A seemingly normal start to a very abnormal story. Although most women might want to have a private room after just going through something as strenuous as giving birth to a child, Pam and Laura did not mind sharing a room. They got along well and began chatting about their experiences as new mothers and offered each other support. While they were also surrounded by family and friends during that time, it was nice for the two to be able to have each other as they were going through similar experiences. Both Pam and Laura said that it was helpful to have each other during that time as they could both understand what the other was going through. It is difficult to adjust to motherhood in the first couple of days but they offered help and advice to one another and obviously shared in each other’s private moments as they were staying in the same room. While they only knew each other for a short time, they became very close very quickly. The two women gave birth to their daughters separated by only a few hours. Thankfully, both babies were healthy and arrived without complications. 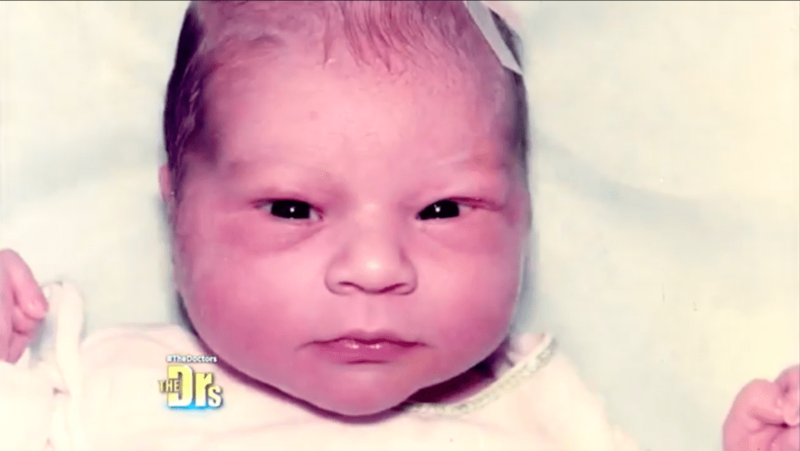 Laura named her newborn Lindsey and Pam named her’s Kirstie. Laura recalled, “The night I gave birth to my daughter, they took my daughter to the nursery,” “Pam was my roommate. We stayed up till 2AM, laughing and telling stories.” The two were having a great time together until something happened that changed their lives. Pam was still using the restroom when a nurse walked in holding a baby girl and told Laura that it was time to breastfeed her newborn daughter. Laura, who had already fed Lindsey multiple times before, thought nothing unusual of the request as she was used to feeding her daughter by now. The nurse, who assumed that she was holding Laura’s daughter Lindsey, handed the baby to Laura. 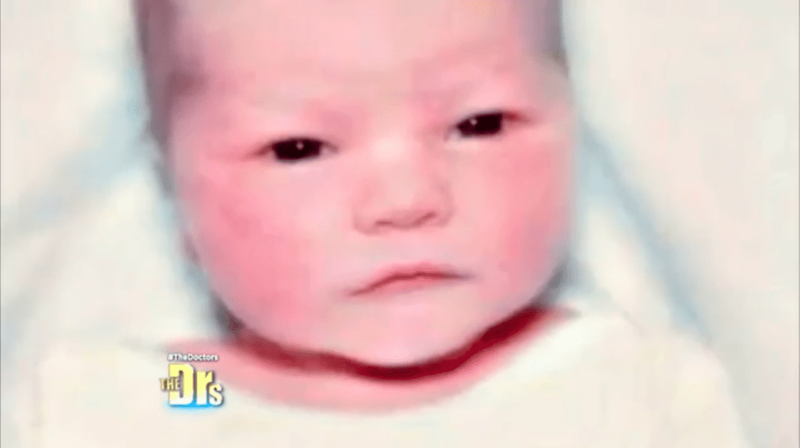 As soon as the nurse handed the the baby to her, Laura could feel something was wrong. Laura retold her experience and said, “5.30 AM, a nurse woke me up and she said ‘Laura, it’s time to nurse your baby and she handed me this little girl all wrapped up in a blanket. As I was holding her, I looked down and I said, ‘this doesn’t look like my baby.’” The nurse told Laura that this was definitely Lindsey so Laura trusted the nurse and breastfed the baby despite her concerns. When Pam returned from the restroom, she looked at Laura breastfeeding and could tell that it was not Lindsay. She said to Laura, “Where did you get that baby?” Laura responded, “Another nurse brought her to me.” The two knew then that there had been a big mistake. Pam was concerned and said, “What’s going on?” The nurses realized their mistake and acknowledged that the mothers were correct. They apologized to the women for the mix up. Pam did not understand what had just occurred. She said, “When I came out of the bathroom the nurse was standing there, but…with a different baby.” She was not, however, angry with Laura. She recalled, “I wasn’t shaken by Laura breastfeeding my daughter. I just wanted her back in my arms.” Both women were disappointed with the nurses’ major mistake and lack of attention paid to whose baby belonged to whom. They did not understand how something like that could have occurred. The incident caused a lot of confusion between the mothers and they could not be 100% sure that they were taking care of the right daughter. The two had to maintain a certain level of faith and trust that they had taken the right baby home. However, no one could be totally certain if Lindsey was really Lindsey and Kirstie was really Kirstie. To make matters worse, Lindsey did not look like her family members. 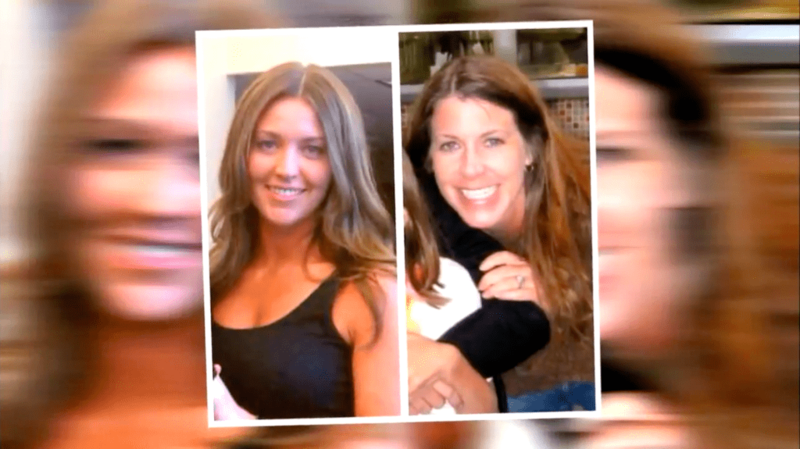 Laura explained what she felt over the years of raising her daughter Lindsey. She said, “This entire time, I have never been sure if the daughters were mixed up,” “I don’t know if Lindsey belongs to us. 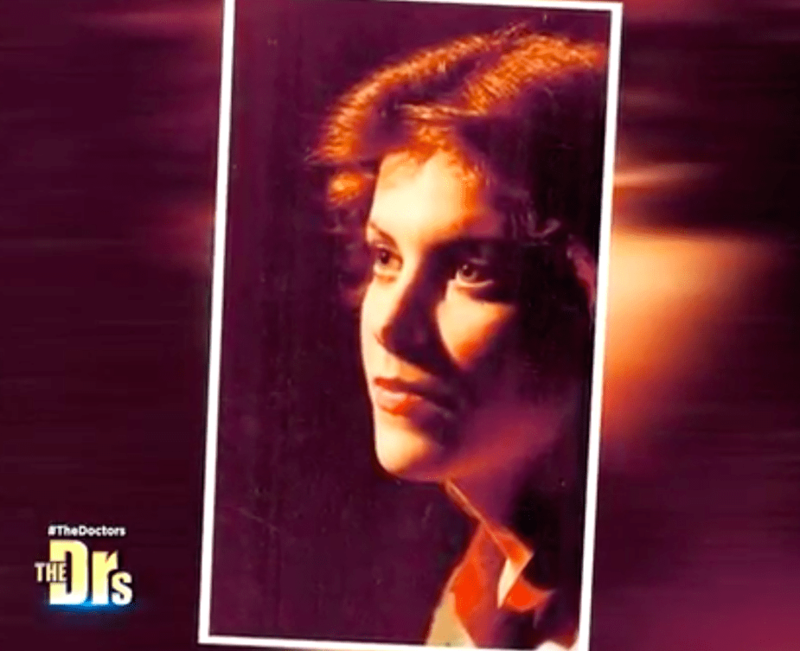 She doesn’t look like anybody in our family.” Even as Lindsey grew up into maturity, her mother still thought that she did not look like anyone in the family and was growing more concerned that Lindsey was really Kirstie. 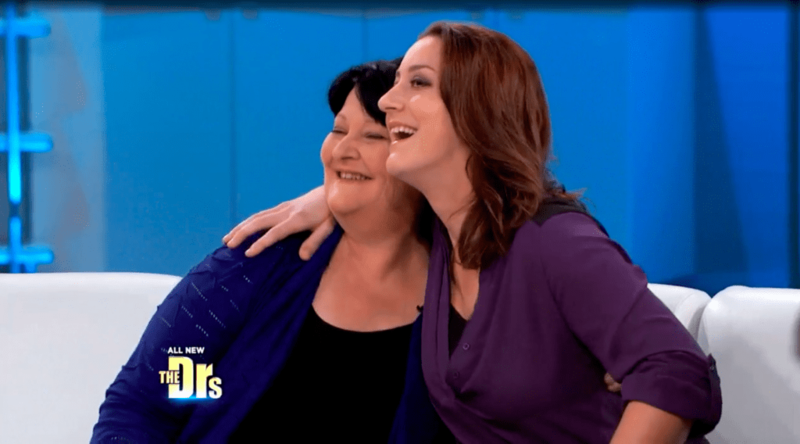 Pam and Laura remained friends for seven years after meeting for the first time in the hospital. They eventually lost touch after Pam and her family moved to Spokane and left Laura and her old city behind. Part of the reason that Pam wanted to move was that she desired a quieter lifestyle. We can only imagine how stressful those first years of raising their daughters would be knowing that they may have actually been caring for the wrong child. Kirstie was not surprised by the possibility. In fact, unlike Laura, Pam had mentioned the incident to her daughter. 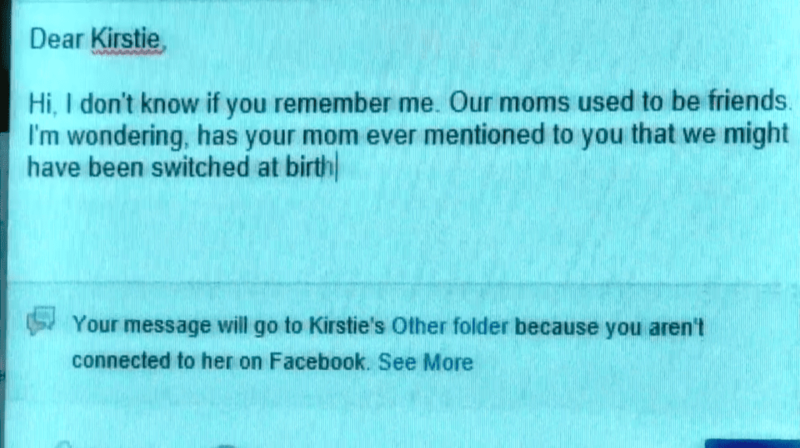 Kirstie remembered, “The first time I found out about this was when I was six years old,” Kirstie explained, “My mom told me that I breastfed on another woman.” Both Pam and Kirstie did not give much thought to the incident and just assumed that everything was sorted out the right way and that each mother was caring for the right daughter. Although Kirstie said that she had moved on easily from her mother’s story, there must have been a time, even for a moment, when Kristie pondered the idea of being switched at birth. If she did not pay it any thought at all, she would have just ignored Lindsey’s message. 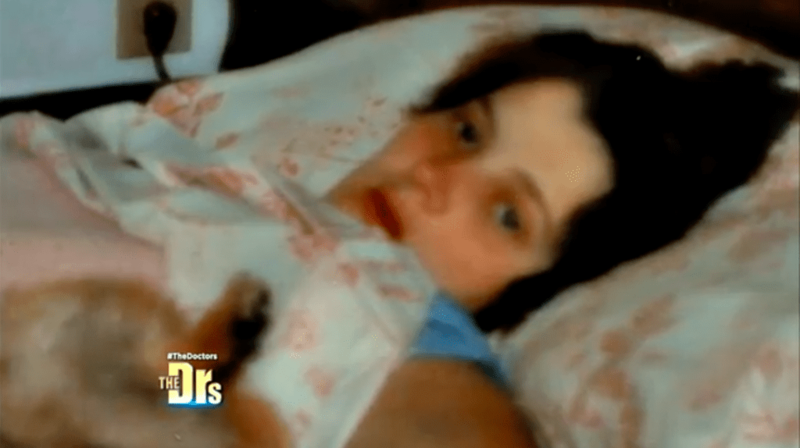 Lindsey’s message to Kirstie was the start of the two girls’ mission to figure out what really happened at that hospital all of those years ago. 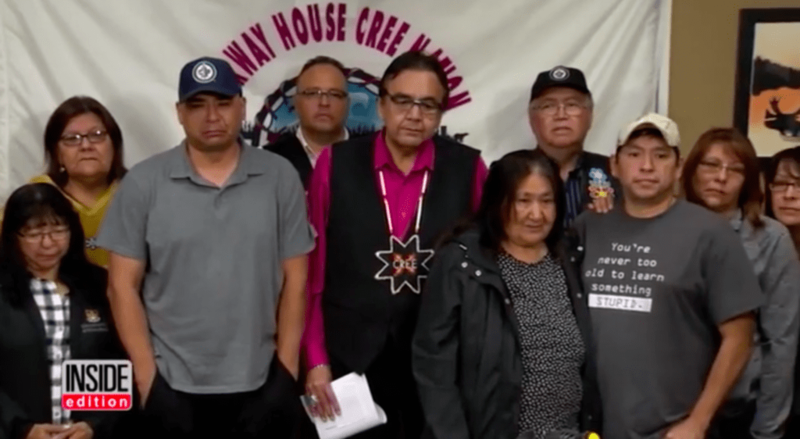 A similar incident took place between two other families in Winnipeg, Manitoba, Canada. Leon Swanson and David Tait Jr. grew up together and would often remark about how each boy looked like the other boy’s mother. By the time the had reached adulthood, the two friends were starting to get suspicious about the resemblances to each others mother’s. 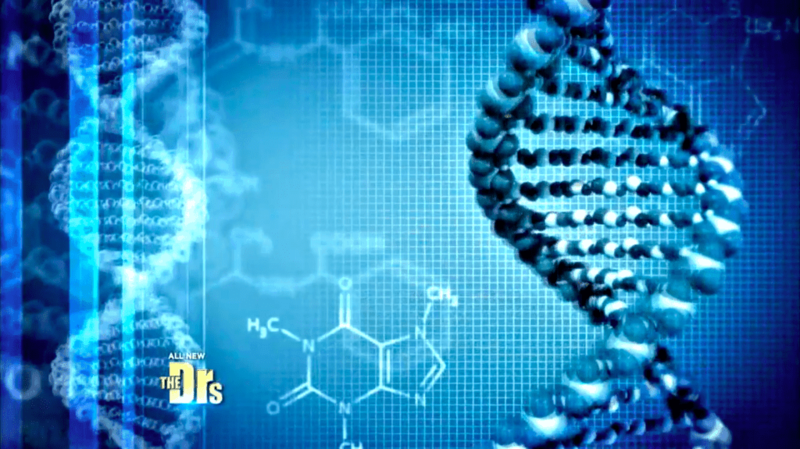 The friends opted to take a DNA test to be certain of their suspicions. The results were heartbreaking. When the DNA results were revealed, the heartbreaking truth came out that David in Leon were correct about their strange family resemblances. The DNA results proved that the two were switched at birth. The hospital where the boys were born had made a devastating mistake that deeply affected the young men and their families. It was heartbreaking for them to know that they had been deprived of so many years with their real parents and families. Was this the case for Kirstie and Lindsey? The two girls called the hit CBS show with their story and they soon found themselves on the show along with their mothers. 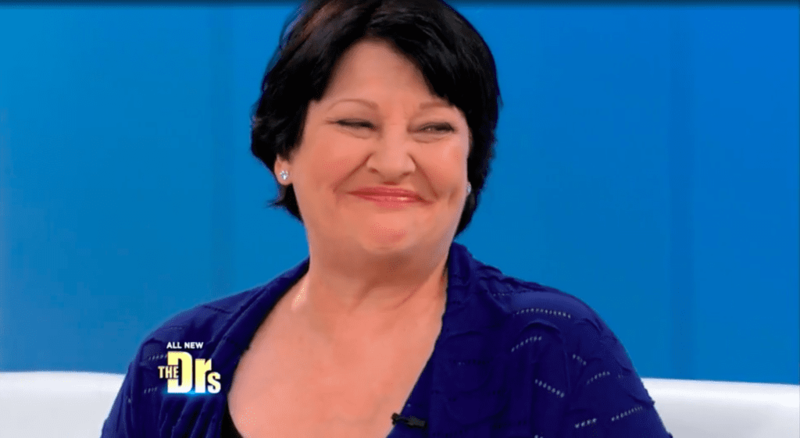 The Doctors is a spin-off show of the well-know show, Dr. Phil. 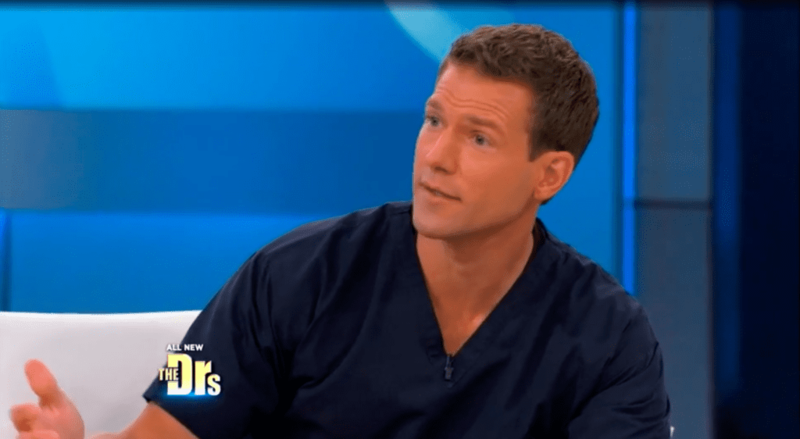 The show covers topics involving health and medicine and often covers stories of medical situations that real people have experienced. The girls were both nervous and excited to hear the results on the show and could not wait to know if they were switched at birth. Lindsey and Pam’s application to the show was accepted and they were asked to appear on the show. Their story would definitely be something that television audiences were interested in since their story is so interesting and intriguing. 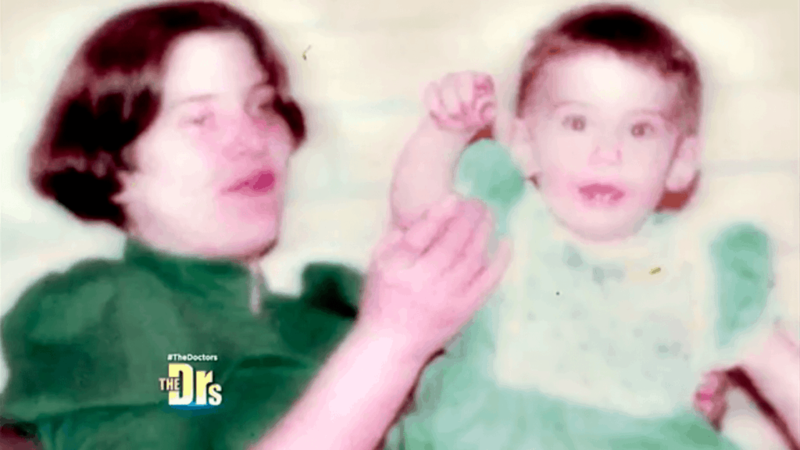 Having the results revealed on television was intimidating for everyone as a negative DNA result would undoubtedly cause a lot of emotion amongst the mothers and daughters. However, they persevered and showed up to film the show in front of a live audience. The two mothers started by retelling their story and how they became friends for 7 years until Pam moved cities and they stopped keeping in touch. 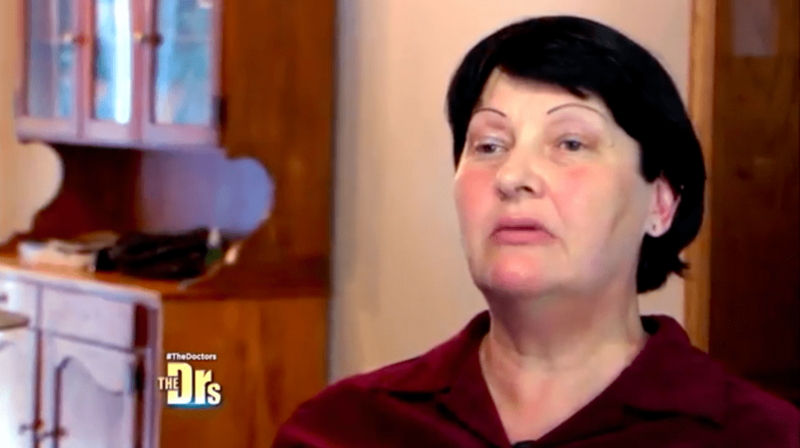 They talked about the incident with the nurses in the hospital and that the two were never really sure if their respective daughters were really their own. 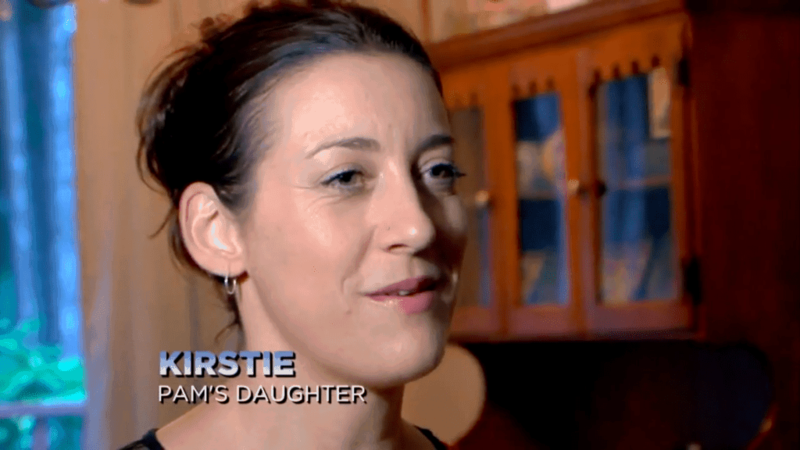 The filming of the show was the first time the mothers had seen each other in 20 years as well as Lindsey and Kirstie who used to play together as children. 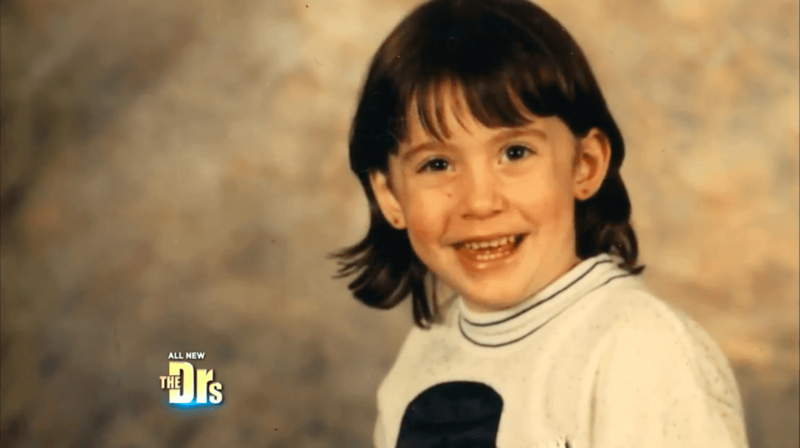 While Lindsey was anxious to get the DNA results, her mother Laura was very apprehensive. 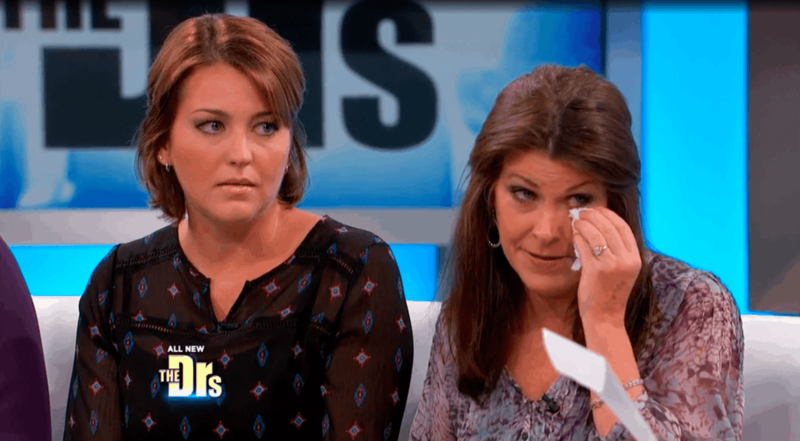 Laura recalled, “I didn’t want to have a DNA test when she was younger because I loved her, and I was like, ‘what if I found out she wasn’t mine?’” Laura had a point, if the results were not the ones she wanted to hear, it could cause a great deal of pain to her and her daughter and no mother wants to hurt their daughter. This was the moment they had been waiting for. Two young women were about to find out if they had been raised by the right families. 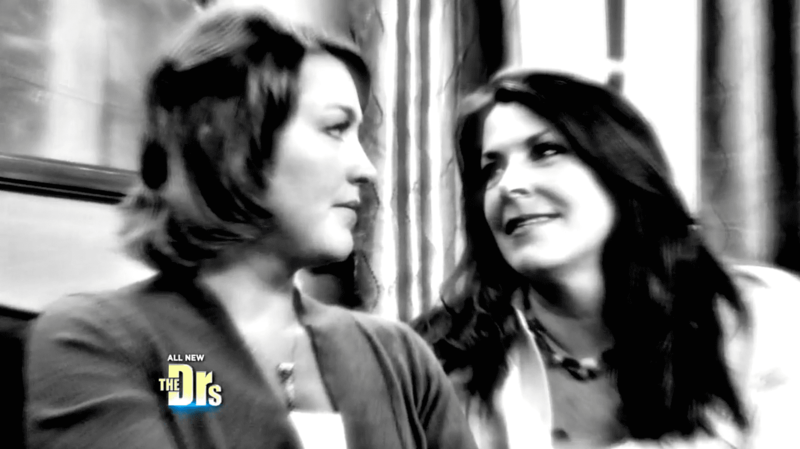 The hosts of the show asked Lindsey and Pam how the potential results could alter their relationships with their mothers. Lindsey answered, “I think it’ll just make my mom have two daughters and Pam have two daughters. We’ll be like sisters.” Lindsey tried to look at the potential results in a positive way instead of saying she would be upset. 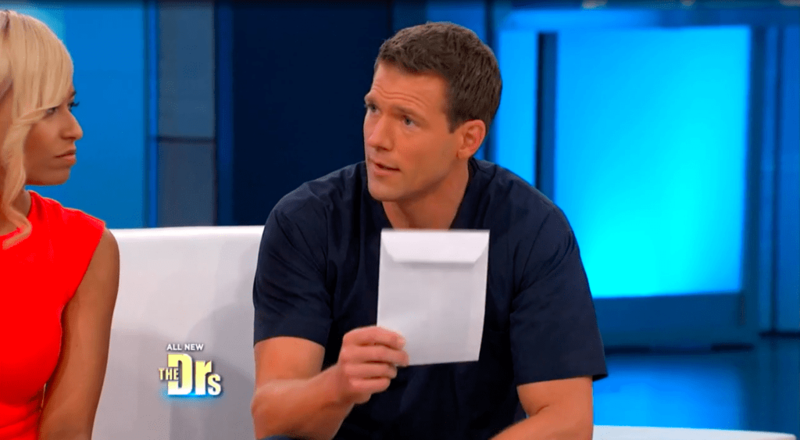 Travis opened the envelope and said, “The DNA test shows… you were not switched at birth.” A sigh of relief was breathed from everyone on stage. The girls had never been switched and were raised by the correct families. Each mother and daughter hugged each other and laughed. 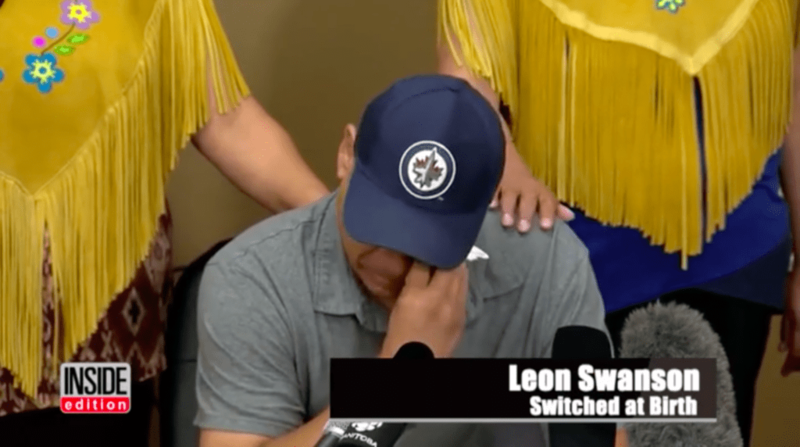 The weight that was on both of the mother’s shoulders for so many years had finally been lifted and they were so relieved to know that there had been no switch. 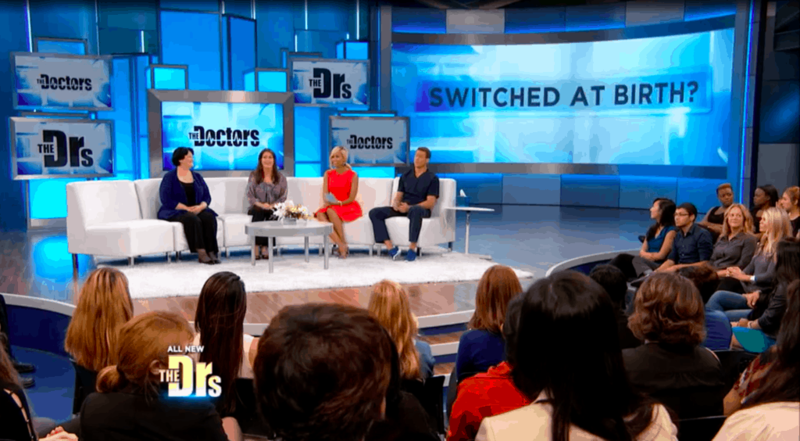 So many years of uncertainty were finally over and each family family had closure over the whole switching incident. Each daughter was with the right mother but these women were still all interconnected by this situation and would share a bond for years to come. Laura and Pam’s friendship was rekindled after the show and they continued their friendship where it had left off so many years before. 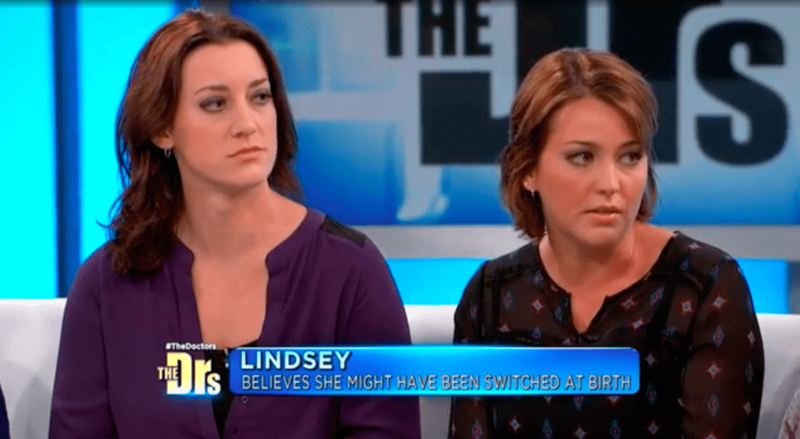 Lindsey and Kirstie could now move on, knowing that they were not switched at birth. The Facts of Life stars: where are they now?